1 Bed | 1 Bath | 709 - 739 sq. ft. Unique luxuries include a kitchen island, stackable washer and dryer, stand-up shower, customized shelving in the walk-in closet and granite countertops. 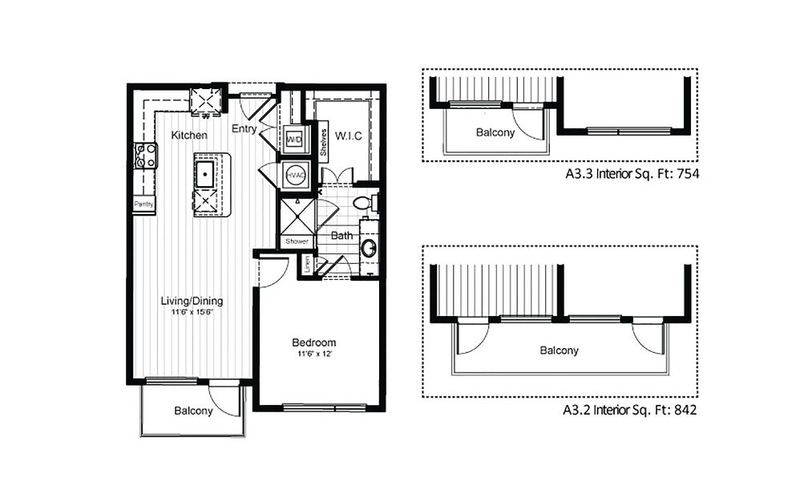 The floor plan square footage without the patio/balcony included is 710.